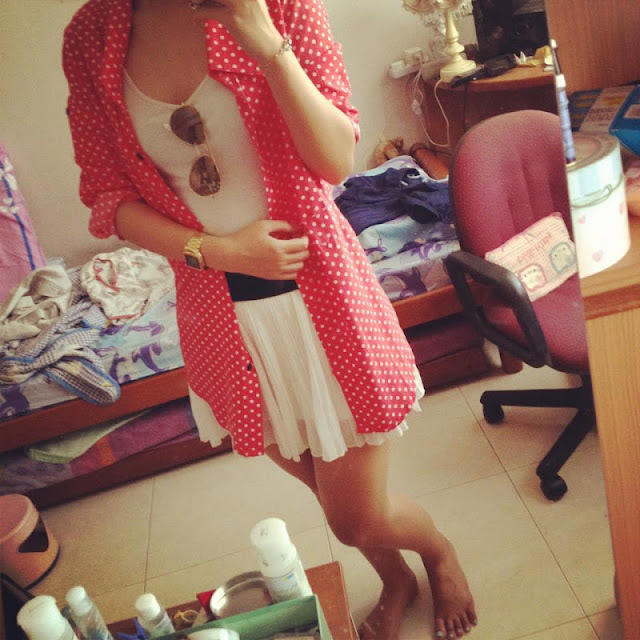 Red white polka dotted shirt. gifted. white chiffon pleated skirt.hongkong. white spag.random.